The Heidelberger Sinfoniker (Heidelberg Symphony Orchestra) first came together under that name in fall 1993 and made their debut appearance on 1 January 1994 with Beethoven’s Ninth Symphony. But the history of the orchestra goes back much further. 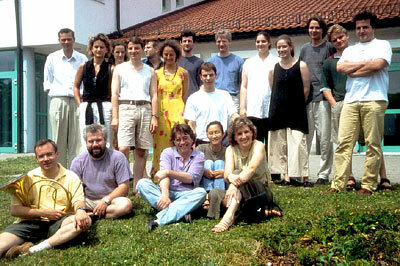 In March 1987, Thomas Fey, then still a music student, founded an ensemble for Early Music, the Schlierbacher Kammerorchester (Schlierbach Chamber Orchestra). 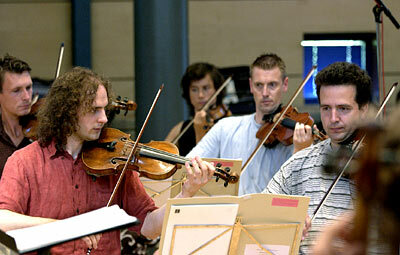 The group was made up of especially gifted and ambitious young musicians from all over Germany. The orchestra’s remarkably vibrant and sensitive playing was much influenced by intensive training in authentic performance style with Nikolaus Harnoncourt in Salzburg. „A major ensemble on its way to a prominent future,“ enthused the German national daily Süddeutsche Zeitung after one of the several hundred concerts the orchestra gave in the following years. In the course of a systematic, largely chronological engagement with the great orchestral music of the past, Thomas Fey and his players started out with in-depth surveys of the works of Handel (including the major oratorios) and Mozart. The annual Heidelberger Mozartwochen festival was initiated in 1991 to mark the 200th anniversary of Mozart’s death and has been dedicated to him ever since. When the orchestra felt ready to embark on the great symphonic literature of the Classical period, the chamber orchestra forces were no longer adequate to the task. Accordingly, the decision was taken to form the Heidelberger Sinfoniker. The new orchestra made its highly successful debut with a much-acclaimed Beethoven series and immediately established close regular contact with world-class soloists like Rudolf Buchbinder, Nelson Freire, Bernd Glemser, Cyprien Katsaris and Thomas Zehetmair. There followed various tours through Europe and South America and numerous radio, television and CD recordings. Today the repertory of the Heidelberg Symphony Orchestra encompasses many of the central works of Viennese classicism, including a large number of symphonies and concertos by Haydn, Mozart, and Beethoven. The orchestra has also extended its activities to works from the 19th century, notably the early German romantics and Johann Strauß.